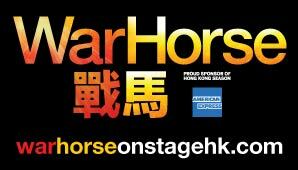 War Horse, the unforgettable theatrical event from the National Theatre of Great Britain, will have its Hong Kong premiere on 10th May, at the Lyric Theatre, Hong Kong Academy for Performing Arts. Due to overwhelming demand for tickets, the producers have extended the season for one week until 2 June 2019, with no further extension possible. 第一次世界大戰時，英國年輕人Albert的愛駒Joey被騎兵買走並運往法國 ; 輾轉於英國及德國軍隊服役，經歷過砲火、疾病等困境 ，其後孤單地被遺留在荒蕪之地。然而，無法忘記Joey的Albert， 雖未到參軍年齡，卻依然冒着生命危險，踏上征途去尋找Joey，歷盡艱苦，終把Joey帶回家鄉。誠邀觀衆見證一個充滿愛的尋馬之旅!